Are you likely to give information to friends or even strangers about places you’ve been? You happily dish out where to get the best baguette in Paris or the name of that great guide in Ecuador. Are you good at organizing? Perhaps you’ve planned a trip for others, even if it’s just inviting friends or family to join you to visit your favorite haunts. If you catch yourself doing these three things, chances are you’ve got the skills necessary to be a tour leader. And this means you have all you need to start a business that allows you to travel as much as you want…create your own schedule…and profit from your own interests and hobbies. In 2004, I had taken up a book, Sara Midda’s South of France. I adored it, with its cute illustrations depicting daily life there. It gave me this crazy idea that I could lead a creativity workshop in France. 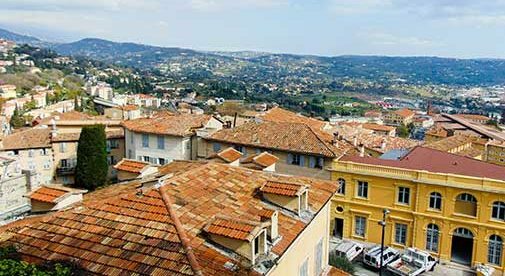 Wouldn’t it be fun to blend my highly useful French degree with my creativity coaching and wanderlust and offer a unique workshop in the South of France? Riding that initial wave of blind enthusiasm, I enlisted a friend to partner with me. We had no idea what we were doing; we were just making things up. Planning and dreaming was fun. We connected with an American woman who owned a B&B and cooking school in the city of Arles. We developed a six-day tour where we used writing, drawing, and cooking to tap into our creativity. It took us about six months to put it together and promote it, and the next thing you know, we were on a plane to France together. We called our workshop Journey of the Senses and enrolled enough people to make it work. In sunny Provence, France, we soaked up the splendor of this place that has inspired artists for centuries. We went to a beekeeper and had lunch in her garden. We visited a goat farm and saw how they produced goat cheese. We tasted olive oil, sipped wine, and nibbled chocolates. We always had our notebooks with us, and in them we captured recipes, stories, drawings, and all the fun we had as a group. Your own tours can bring you money, opportunity to travel, a lot of great new friends, and I bet they will also bring you unexpected boons like I’ve had. Your tours will be different than mine, based on a unique blend of your talents and passions. Perhaps it’s a textiles tour in Ecuador. Or maybe a pilgrimage to sacred sites in England. Or a beer tour through Bavaria. There are so many possibilities, and hundreds of people leading tours based on what they love. And chances are there’s a huge group of people who share your interest and want to gather to immerse themselves in it with you. You will get to enjoy your own profits and rewards from leading tours. You may be wondering about the kind of income you can earn. For me, above and beyond my travel expenses during the workshops, I’ve earned up to $10,000 profit per tour. If you did one or two of them a year, perhaps doing a couple of them back to back like I have, your profits increase. My tours are intentionally small (10 to 12 people), but perhaps yours will be larger and more profitable. If you have the skills of storytelling, sharing, and organizing, you’re well on your way to having what it takes to lead successful tours.